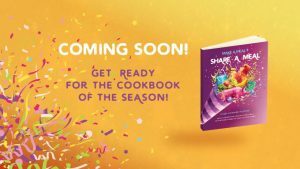 Home / Uncategorized / Blog Post #49 – BCF Publishing – A New Season! I’ve been studying the world of publishing in order to join with my son, Zane, to begin to publish books he and I both plan to write. We decided my Make a Meal + Share a Meal cookbook would be our first endeavor! Amazon’s KDP book publishing division makes it so easy if you already know how to write, edit, design covers, and layout interiors. What once used to involve thousands of dollars and hundreds of inquiry letters to find a publisher, now is a straightforward inexpensive process and books are sold round the world through Amazon. So, we are taking the plunge. This is a level above ‘self-publishing’ and holds much promise for us. We will have both Kindle and softcover full-color versions of my cookbook available for sale on Amazon by Cyber Monday, November 26, 2018. With my contracts expired between my previous publisher Generations and I, now is the perfect time to republish my first two books as BCF Publishing editions. I plan to have them available through this new avenue by year’s end. BCF stands for Blessed Creek Farm. Our farm sits along the seasonal San Arroyo Creek, hence we have always called our farm that. Since our farm is the basis for our writing and publishing, it seemed logical to name our new venture after our beloved home and farm enterprise. I am learning many new things during this season of my life without Cary by my side. I know he would be so pleased with my endeavors and vision for a fulfilling life beyond homeschooling and homemaking. I have learned so much in the past 5.5 years – how to accomplish writing books, learning to be a professional editor, becoming a public speaker, and now stepping up to be a publisher. Thankfully, I am a life-long learner and calculated risk-taking is an adventure I am willing to dive into with gusto and tenacity.